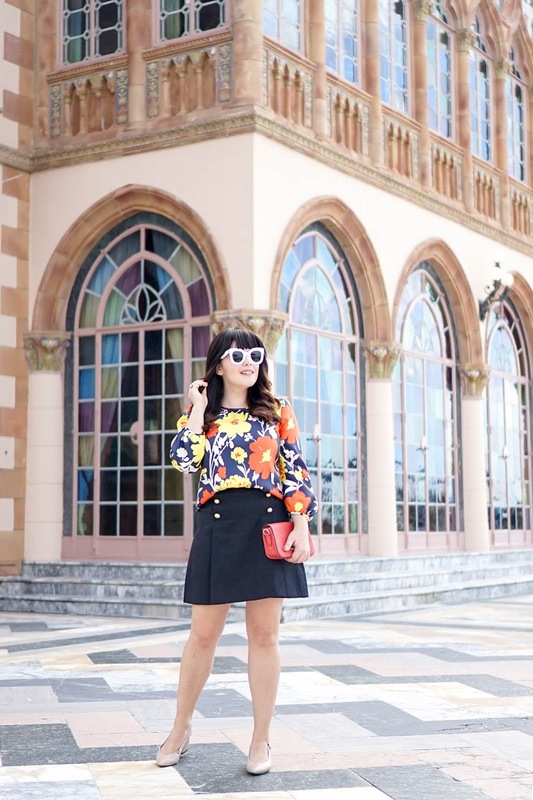 Florals are always trending for spring. This spring, however, I am especially excited becuase bold florals will be all the rage. 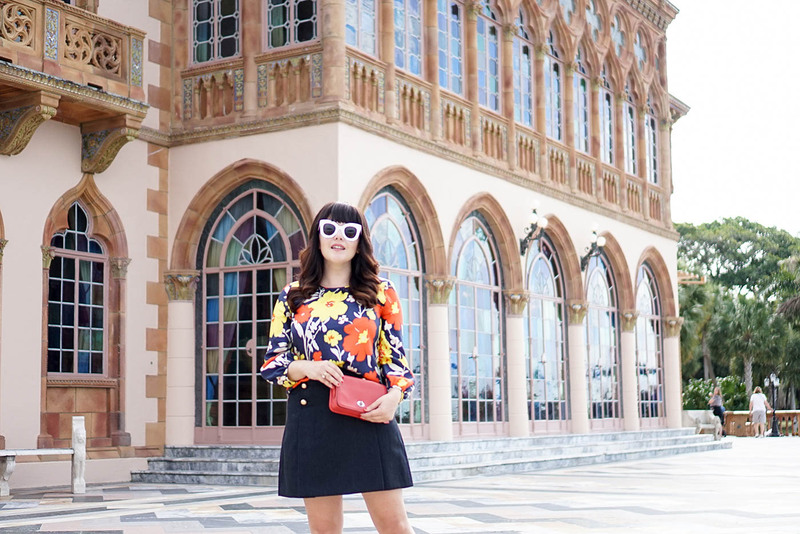 Swap your dainty pastel florals for bold and bright blooms! 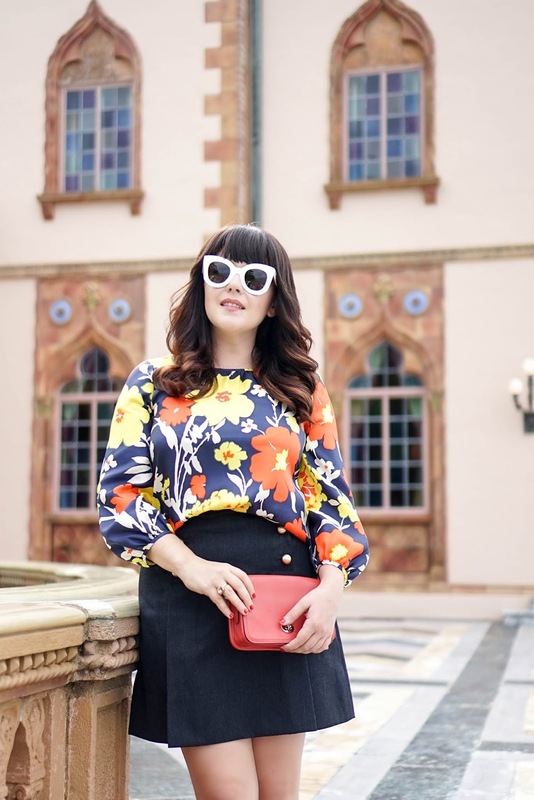 Case in point, this J.Crew silk top in vintage floral. I will admit, it is not for the faint of heart, but I love the bright colors and large floral print. To subdue the look, I paired this top with my favorite military-inspired skirt. A little juxtaposition is always a good idea. You might also notice the gorgeous backdrop of these photos. We shot them at the Ringling in Sarasota. 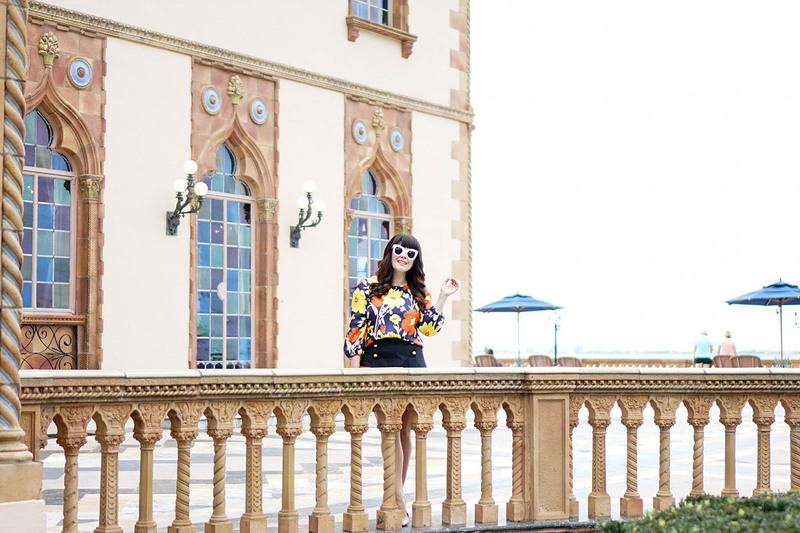 The Ringling is a true Florida gem. Built by circus tycoons John and Mable Ringling, it is a massive estate which houses a world-class art museum (collected by John and Mable), gorgeous gardens, and a mansion built in the style of the grand palazzi that line the Grand Canal of Venice. The Venetian palace, affectionately called Ca' D'Zan, is clearly my favorite. 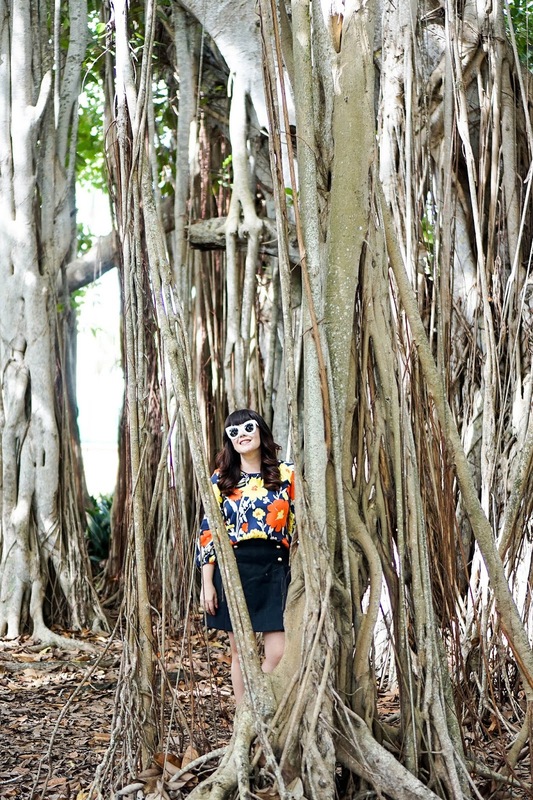 I also love the amazing banyan trees that dot the property. Banyan trees, which are indigenous to Southeast Asia and India, were actually brought to the west coast of Florida as a gift for Thomas Edison. Edison originally planted the trees in an attempt to find a more cost effective way to produce rubber. The trees ended up thriving and can now be found along the coast, from Ft. Meyers to St. Petersburg. 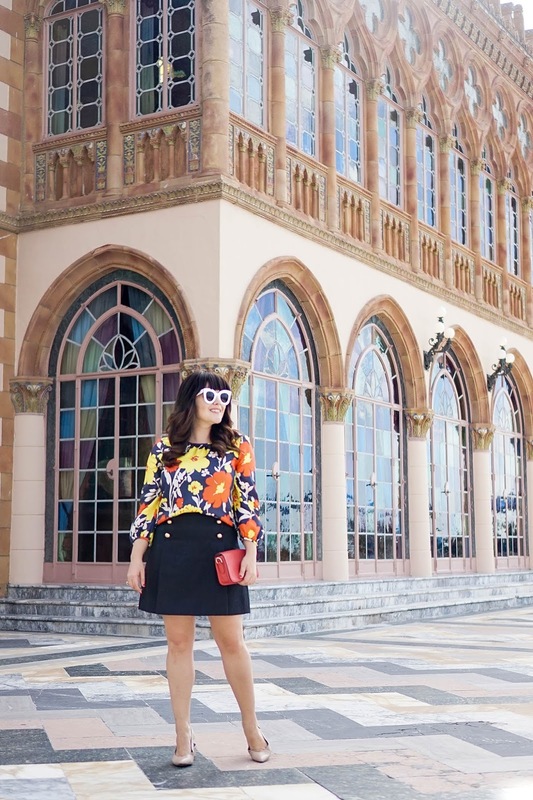 Even if you don't have a grandiose setting with a faux Venetian palazzo and exotic trees, you should still consider adding a few bold florals into your spring wardrobe. I have rounded up my favorites below!